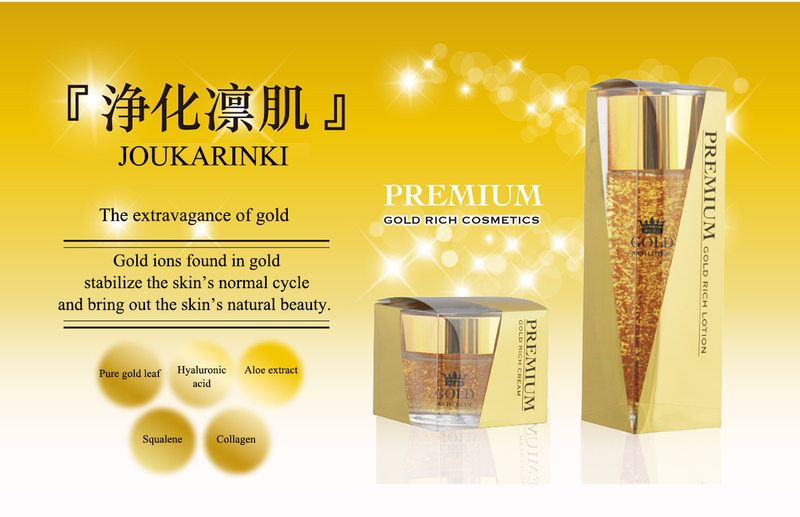 A beauty care lotion richly blended with pure gold leaf. 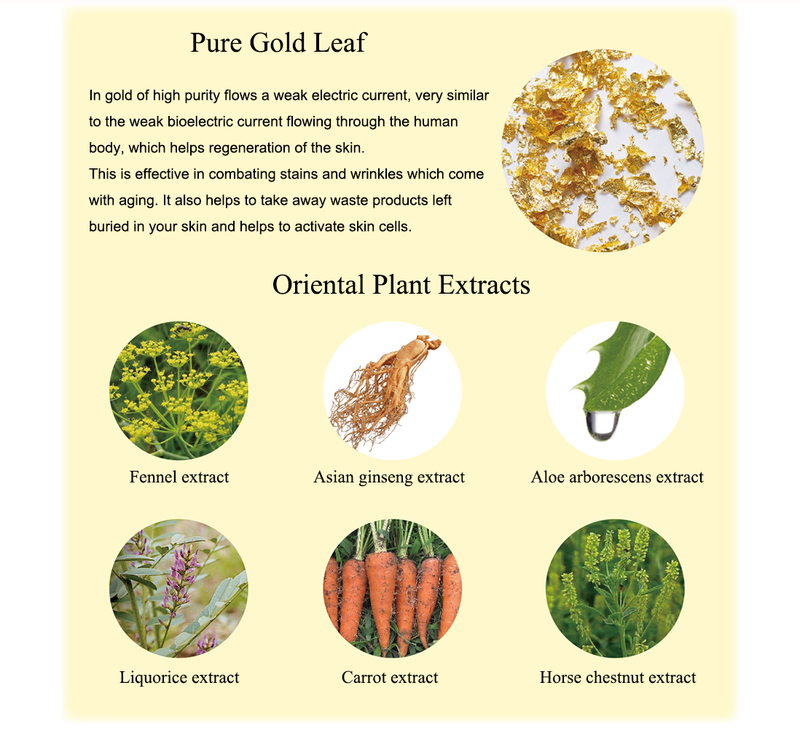 Normalizes the skin's balance damaged through age and drying, and restores the skin's natural cycle. 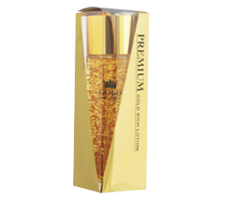 A beauty care cream richly blended with pure gold leaf.